This is a guest post for the Computer Weekly Developer Network written by Mat Mathews in his capacity as co-founder and VP of product management at Plexxi — the firm is a specialist in converged and hyperconverged network infrastructure for public and private cloud deployments. Pressure is mounting for companies to increase business agility and improve efficiencies by adopting advanced IT models to deliver new applications to both customers and internal departments. Given this reality, we now see many firms turning to hyperconverged technologies for help in moving beyond their traditional legacy IT infrastructure. So how does this sector of the total technology stack play out and what key considerations should we be thinking about? Analyst house IDC has found that hyperconverged infrastructure (HCI) sales grew by 104.3 percent year-over-year in the third quarter of 2016… and Gartner suggests that the HCI market will be worth $5 billion by 2019. HCI helps increase new application development by making it easier for customers to build their own on premise “cloud” by collapsing the traditional compute (server) and storage silos into a single infrastructure building block and sleek software control. With HCI on the rise, the need for what is referred to as a Hyperconverged Network (HCN), which does the same for the network silo, emerges. Let’s take a closer look at HCI, HCN and why people are choosing to make the move. As companies move from custom-built IT infrastructure (i.e., built around specific application needs) to general purpose cloud computing, they are generally faced with this choice: There is the “do it yourself” model with commodity hardware, open source tools and a lot of savvy developers, or there is the more traditional slio’d vendor approach and turnkey licensed cloud management software. HCI aims to allow these companies to leverage commodity hardware for compute and storage with sleek, highly integrated, pre-built software to help them easily turn that into a cloud with minimal specialised expertise or development. HCI also enables a “pay as you grow” model, so companies can start with exactly what they need and only add more as they grow. This translates into agility for application developers at a very favourable cost. However, as HCI deployments grow, they can quickly run into roadblocks. HCI creates a clustered system of compute and storage commodity components and is therefore highly dependent on the network that connects the cluster together. New application deployment can become stymied by a manual network configuration and the engineering process. As HCI deployments grow past their initial few nodes, a network architecture usually has to be designed, which takes highly skilled engineers to ensure that the overall cluster operates at peak efficiency and doesn’t interfere with existing gear or applications. This type of network engineering and architecture is a long, arduous process with traditional networking gear, and again slows down or eliminates the agility gains of HCI. This is where HCN comes into play. Why are customers using HCN? HCNs are designed to specifically address the needs of HCI deployments by bringing the same agility and scale-out performance benefits to the network that HCI brings to compute and storage. HCN doesn’t force users to pre-design a network for larger deployments, leveraging the same pay-as-you-grow model as HCI. Another benefit of HCN includes zero-touch network administration. In other words, virtual local area networks (VLANs) and network switch ports are automatically added, moved, and deleted based on the VM lifecycle information in the HCI systems. A good HCN will also automatically keep compute and storage traffic isolated on the same physical network, saving tremendous cost that is typically associated with building and operating separate networks. Other advantages include integrated management and visibility into HCI management systems. HCN allows companies to maintain the agility and ease of use from HCI even in the most complex environments. If you have plans to deploy a HCI system, you should seriously consider using HCN. 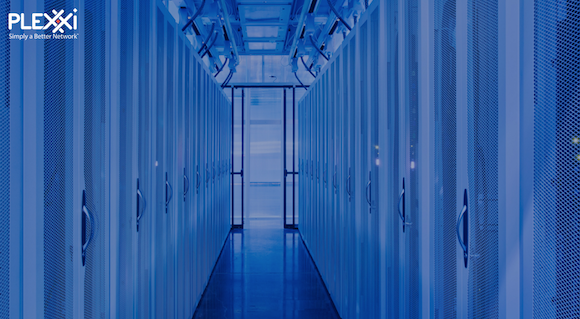 Plexxi solutions enable cloud builders to harness the power of a single, simple platform to create private/public/hybrid cloud and datacentre networks. Plexxi HCN offers a hyperconverged network for hyperconverged infrastructure HCI solutions.